Thought scousers said if it's not purple it's wool. You calling Stevie G wool? Over here, on the brightside , we get three, lovely coloured bins. Green, grey and brown. What a mix. 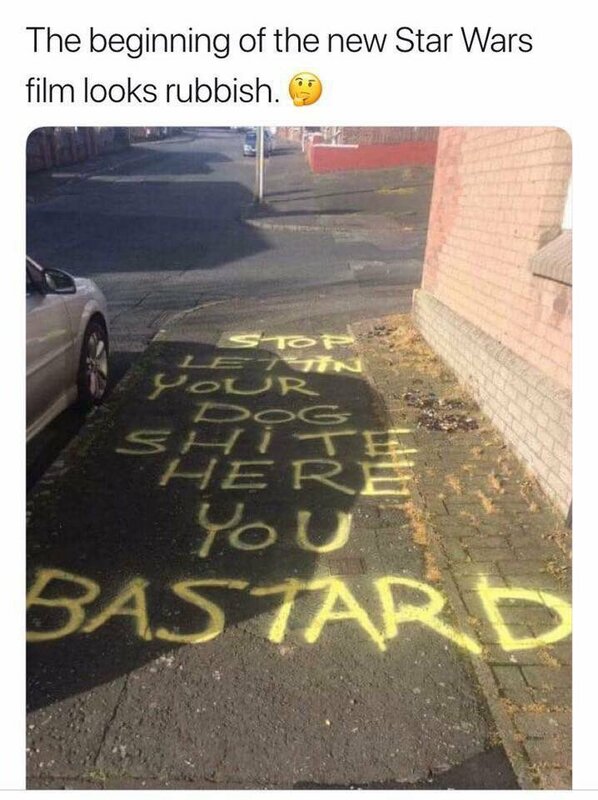 It's as if the council are deliberately taking the piss. You calling Stevie G wool? The real Planet of the Apes!! Might start watching them if the next one begins like that! The husband tells his wife: "Listen,this guy's a dangerous escaped convict! He probably hasn't seen a woman in years. I saw how he kissed your neck. If he wants to F*^$ You,don't resist, don't complain, do whatever he tells you or he might kill us. Be strong, honey. I Love You." The wife responds: "He wasn't kissing my neck. He was whispering in my ear. He told me he was gay, thought you were cute, and asked if we had any vaseline. I told him it was in the bathroom. Be strong, honey. I LOVE YOU TOO! I heard a rather nice story about a man who drank alot and his wife said "if you ever come home drunk again, I'm going to leave you". He went out to a pub and drank alot and was sick all over his shirt, and said to his friend "If I go home like this my wife will leave me". His friend said "I tell you what, put a twenty-pound note in your inside jacket pocket, go home and show it to her and tell her somebody threw-up over you and he gave you the money for the dry-cleaning bill.". He goes home and his wife's angry at the state of him and tells him she is leaving but he says "No, no, no, somebody was sick on me and he put a twenty-pound note in my jacket pocket for the dry-cleaning bill". His wife digs into his jacket pocket and pulls out some money, she said "Why have you got two twenty-pound notes in there? ", he said "Oh the other is from the man who shat in my pants". This is one of the funniest things I've seen in a while. God, I laughed so hard. Well done to the marketing team there.